“Standardized tests, which have been disguising class and race privilege as merit for decades, have become the ‘credit default swaps’ of the education world. Few people understand how either really works. Both encourage a focus on short-term gains over long-term goals. And both drive bad behavior on the part of those in charge. These deeply flawed tests have become the primary policy instruments used to shrink public space, impose sanctions on teachers, and close or punish schools. If the corporate reformers have their way, their schemes to evaluate teachers and the schools of education they came from with another generation of tests based on the ‘common core’ standards will dramatically expand the testing plague unleashed by NCLB. I spent last night perusing the 150-plus pages of grading materials provided by the state in anticipation of reading and evaluating your English Language Arts Exams this morning. I knew the test was pointless—that it has never fulfilled its stated purpose as a predictor of who would succeed and who would fail the English Regents in 11th grade. Any thinking person would’ve ditched it years ago. Instead, rather than simply give a test in 8th grade that doesn’t get kids ready for the test in 11th grade, the state opted to also give a test in 7th grade to get you ready for your 8th-grade test. But we already knew all of that. What I learned is that the test is also criminal. The chief academic officer of New York City’s public schools said on Monday night that principals were not alone in being concerned about the state’s new teacher evaluation system: He also has qualms. At a panel discussion on high-stakes testing held at the Brooklyn Secondary School for Collaborative Studies, Shael Polakow-Suransky, the chief academic officer for the city’s Education Department, told a packed auditorium that the new law contained “real risks,” for teachers and principals alike. Quietly passed into law by the State Legislature last week, the evaluation system calls for 60 percent of a teacher’s annual review to be based on subjective measures, like classroom observations and feedback from students. The remaining 40 percent is drawn from student achievement — 20 percent from growth on the state math and English exams, and 20 percent from assessments that districts can select and design. Teachers who score below 65 points out of 100 will be rated ineffective, creating the potential for a principal to give a teacher a perfect score of 60 points on the subjective portion, only to have the teacher labeled ineffective if her score on the achievement portion is very low. “A principal should not ever be in a situation where ultimately their judgment gets trumped by a mechanistic formula,” Mr. Polakow-Suransky said, adding that while he objected to such a scenario, he expected it to be a rare occurrence. “Ultimately there needs to be enough flexibility for the principal and the teacher to have a conversation about the work that’s happening” inside of the school, he said. “In my reviews, I contrasted the five-year preparation of teachers in Finland with the American hodge-podge approach to the recruitment and training of teachers. In the U.S., states offer many ways to become a teacher, and our non-system has produced low standards for entry and a revolving door, with 40-50 percent leaving in their first five years of teaching. Finnish teachers are highly respected and seldom leave their profession. A great video mocking Francois Legault’s plans to improve public education by using performance indicators to more closely monitor teachers …the very strategy at the heart of George Bush’s ‘No Child left Behing’ that has failed so miserably to improve public education in the US. “Tell me how you determine the value I add to my class. Tell me about the algorithms you applied when you took data from 16 students over a course of nearly five years of teaching and somehow used it to judge me as “below average” and “average”. Tell me how you can examine my skills and talents and attribute worth to them without knowing me, my class, or my curriculum requirements. How all of my students come from different countries, different levels of prior education and literacy, and how there is no “research-based” elementary curriculum created to support schools or teachers to specifically meet their needs. How the year for which you have data was the year my fifth graders first learned about gangs, the internet, and their sexual identities. What’s Wrong With QPAT’s Health Insurance? Mention ‘health insurance’ to any group of teachers within Quebec’s English school system and one is likely to hear complaints. There seems to be a widespread perception that this is an expensive plan for the coverage received. Some who have investigated the cost and coverage of individual health insurance plans offered by various companies have even claimed that they would be better off with such a plan rather than remaining with the Quebec Provincial Association of Teachers’ (QPAT’s) group insurance. For these reasons, whenever the subject of health insurance has come up at the Montreal Teachers Association (MTA) reps assembly, a heated discussion has usually followed as reps attempt to express some of the frustration they hear from their members. Some of this frustration has been directed at Industrial Alliance and at the consulting company Mercer that recommends the use of Industrial Alliance to QPAT. Attempts by the MTA executive and professional staff to explain the role of these two organizations and the technical side of how the plan works seem to have been lost in the din of members expressing their frustrations about the plan. In order to address this problem so that a more informed debate could take place, MTA Executive Assistant John Winrow invited many of those who had expressed concern about the plan to a meeting at the MTA office with a representative from QPAT. The first thing that was explained at this meeting, that is important for the members of QPAT to understand, is that we the members of QPAT are the owners of this plan. This plan is not controlled by Industrial Alliance. We the members, through our association, QPAT, have determined what the coverage will be and how much it will cost. The role of Industrial Alliance is merely to administer the plan that we have created. Mercer, which was presented as one of the most knowledgeable and reputable insurance consultants in the province, is hired to ensure that the fees Industrial Alliance charges for this service are competitive. The fact that this plan is owned and controlled by our own provincial association should mean that this is a plan that most teachers feel good about. As the meeting progressed several pieces of information came to light which could help explain why this is not the case. 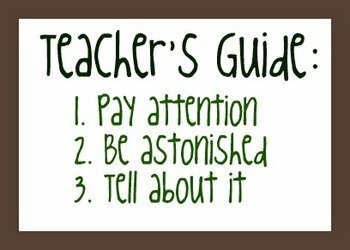 “After years of research, I have developed a three-stage teaching method that breaks new ground in pedagogical theory: Stage 1: Pay attention. Stage 2: Be astonished. Stage 3: Tell about it. If it appears I’m trying to poke fun at university professors’ self-indulgent tendency toward pomposity, I am. Since I am a university professor who occasionally can be self-indulgent and pompous, I have standing to poke fun. Frankly, we don’t poke fun at ourselves enough. That’s part of my teaching philosophy: Poke fun at myself, as often as possible, especially in front of students. 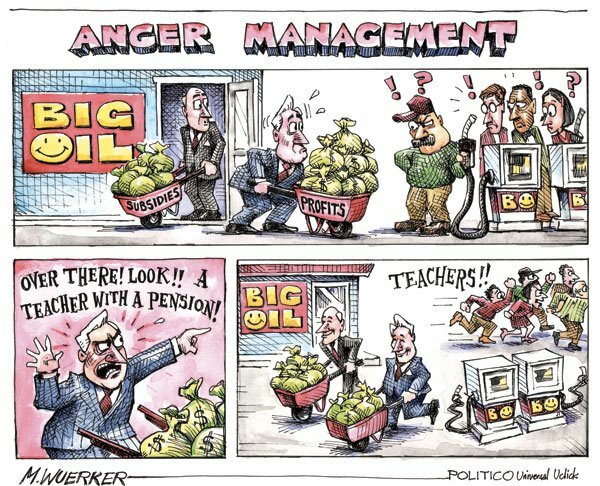 In both Ontario and BC the Liberal Party has launched an all out assault on organized teachers that will lead to serious political blowback on both parties. In Ontario, Liberal Premier David Peterson forced increases in teacher pension contributions and lost the next election to the NDP. Bob Rae attacked teachers and public servants with the Social Contract. He lost the next election decisively proving there is no public thank you for these policies. Mike Harris (1995-2003) launched his assault on teachers and civil servants and managed two terms for the PCs but lost ground in 1999 and could not personally survive. He was forced to step down and pass his government to Ernie Eves who could not salvage a win in 2003. The Liberal Party (OLP) has been successful since 2003 primarily by adding teachers, nurses and other public professionals and civil servants to the Liberal party universe at the expense mainly of the NDP. It seems Premier McGuinty is prepared to dynamite this relationship and does so at his peril. If he does not back down almost immediately he will condemn the next OLP leader to a third place finish at best. Since Ontario is the last real ridout of Liberalism in Canada, notwithstanding a sprinkle of Maritime seats, he could be in the process of signing the suicide note of the Liberal Party in Canada. In BC, a similar attack on the teachers and public education by WAC Bennett in 1972 ushered in the Dave Barrett NDP government. “Wacky”Bennett restricted local government’s ability to raise taxes, attacked teacher tenure, put ceilings on arbitration awards and prompted a province wide strike by BCTF in 1971. The angry teachers backed the NDP in the 1972 election and Bennett was swept out. The NDP is significantly ahead of the BC Liberals and their unpopular leader Christy Clark at the present time. The latest Robbins poll shows BCNDP 45%, BC Lib 29%, BC Conservatives 19%, and Green 7%. This latest move could doom the BC Liberals. BCTF: Why are teachers taking action now? — it eliminated $3.3 billion for education over the last decade. • Teachers want a fair and negotiated agreement— not something imposed by government legislation. • BC teachers salaries are now 9th in Canada, but government refuses to consider cost-of-living adjustments or any salary increases. • Teachers have sacrificed salary increases in the past to gain improvements for students only to have these illegally removed in 2002. A decade of cuts have hurt your child’s education. The provincial government has appointed former Justice James Farley to spearhead the implementation of its agenda of forcing concessions from teachers in their upcoming contract negotiations. The current collective agreements between teachers and school boards across the province expire on August 31. James Farley is Senior Counsel with McCarthy Tétrault, a law firm that specializes in providing legal advice to corporate clients in bankruptcy and restructuring cases. Before joining McCarthy Tétrault in 2006, James Farley was an Ontario Superior Court Justice. It was Justice Farley who presided over the Stelco bankruptcy proceedings which, amongst other things, were used to try and force Local 1005 USW in Hamilton to open its contract and make concessions to Stelco. Local 1005 refused to make concessions and fought to expose what Stelco was up to. Stelco was far from broke — steel prices were up and its order books were full throughout the bankruptcy restructuring. Yet Steclo’s suppliers, unsecured creditors and common shareholders were shafted. Secured creditors came out okay and a few hucksters made the big score. Because of Local 1005’s resistance to these schemes, Stelco’s CCAA bankruptcy protection was thoroughly exposed as a fraud and Justice Farley earned notoriety for his role in overseeing and giving his judicial seal of approval to the whole sordid affair. The provincial government recruited this “expert” in “bankruptcy restructuring” to try and overwhelm teachers in these contract negotiations.